Beautiful end tables, but MUCH MUCH darker than the picture. I wish I had read the other reviews first - I selected these to help our decor blend two different wood tones. The tables I received will not accomplish this, but they still look nice. I would attach photos but my camera is compensating for how dark they are, and it is autocorrecting to a lighter color. Maybe that's what happened in the photos above. 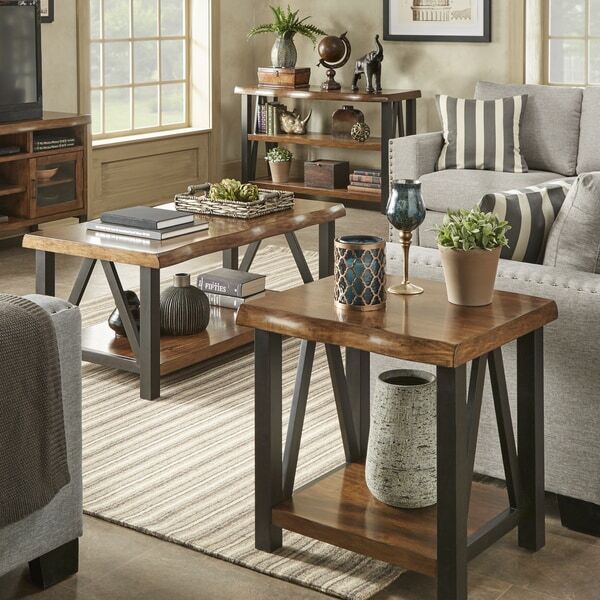 Solid and rustic, the Banyan accent tables from iNSPIRE Q® Artisan will give your home a warm and inviting air. The beautiful natural edge wood top showcases a rich, visible wood grain, offering a hand-finished feel that emanates an effortless beauty. Dark metal accents achieve an industrial touch that will blend seamlessly with any contemporary style. Simple, yet eye-catching, these accent tables will transform your living space. End table and coffee table available, as well as a set including one of each. Click here to view assembly instructions for this item. Each product ships in one (1) box. Boxes may arrive on different days if ordering a set. iQ Artisan gives by-gone eras new life with historically inspired designs that reach across the centuries. Quietly elegant, old-world grandeur instills these pieces with a livable luxury that's in step with contemporary life. Neutral linens, rustic finishes and vintage elements help you create an inviting yet high style atmosphere with iQ Artisan. The table is very attractive and sturdy...HOWEVER it is not even close to the color shown in the pictures. Mine is very, very dark brown!!! I was OK with it only because it went perfectly with a new chair we just purchased. The packaging was great EXCEPT for the fact that the bag of hardware was not closed properly and all of the bolts and screws were everywhere inside the box. I never did find one of the washers and had to ad-lib with one I already had. 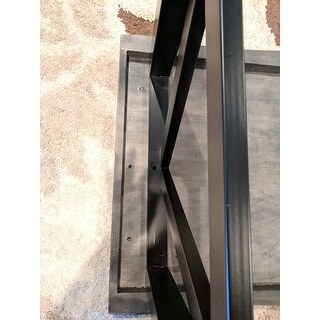 It was easy to assemble but you should have a second person to help hold the shelf when attaching it. I am an impatient 67 year old woman and my husband wasn't home so I had to stuff a stool between the top &amp; the shelf to hold it up while attaching it. There was not one scratch or dent on the table!!! Great accent table and coffee table. The color is just a shade darker than expected but looks great. I originally gave the pair 5 stars. However, after about 6 months of owning the coffee table all four corners started to peel/chip away. There is no heavy use of the table so it was completely unexpected due to the heavy duty feel of the table. This table came quickly. It was very easy to assemble, sturdy and has a nice simple look. However, it is much darker than what I saw in the picture online. We have dark wood floors, and this is much darker than the floor. For that reason I will probably return it because color wise it doesn't go well in the room. If it matched our floors like I thought it would base on pictures, we would keep it. 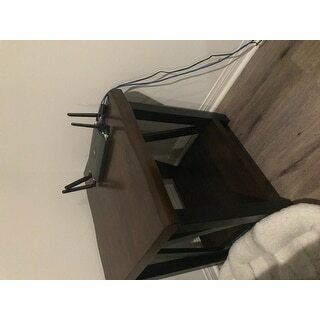 The accent table (pic 1) and the background of (pic 2) is of good size. The accent table is part of a set that includes the media console (pic 2 foreground) and the sofa table (pic 3). They are all sturdy, no wobble. They come packaged very well, arriving promptly and without damage. The accent table is heavy. The accent table since is rustic with a modern twist. Goes with everything. Highly recommend. Love my Accent Tables and bought the coffee table to match... they look great in living room. Perfect assortment of varying-sized accent tables for my living room furniture and room dimensions. More than functional, the tables are attractive and sturdy. Love the shelf underneath the largest table of 3. What a deal at that sale price! This table will be perfect in our new living room. Contemporary, well built (heavy) and beautiful. Love the style. I chose the Banyan Live Edge coffee table and three end tables myself. And my husband really likes them. Yes!!! They look good and were easy to assemble. And there were no damages. I also bought the table lamps, Thanks Overstock! These end tables are beautiful, sturdy and very classy. I love the thick solid wood top and shelf. The finish is very nice and the dark wood was perfect. It is slightly darker than the photos in my opinion. Assembly was super easy too. Highly recommend. I ordered the set with coffee table and end table with an addition end table. Both coffee tables showed up on time but had to chase down the coffee table. I would say it was a shipping error with the transportation company. I did receive the coffee table a week later. All are in great shape and I’m very happy with the purchase. These were very easy to assemble and took little time! Thought this was real live edge but just very thin veneer. They are sturdy and look nice but not sure how long it will last. Easy assembly. Very dusty and dirty in package but was able to wipe it clean. It looks great at the beginning, but since it is not real wood, the top layer starts to peel off now. Returned this item. 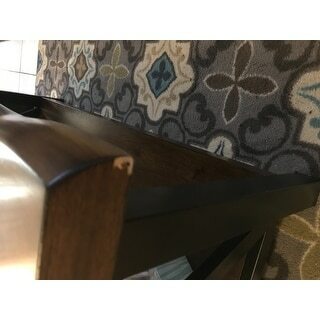 Had a manufacturing defect where the screw holes in the coffee table would not align with the legs. Also, both coffee table and end tables are slightly darker than the depicted in the picture. This is MDF is not real wood, but it still looks beautiful. The directions for assembly were very clear. This is a solid table that will look good for years. Looks very rustic and made very well. I really like these. The finish is not real wood as I figured. I hope it holds up. Looks expensive. There was a little bubble in the laminate so that makes me a bit nervious. Liked these tables so much I ordered a second set for another villa. I will be purchasing additional tables for the villas/condos that I manage. Very classy and Overstock has been great to deal with! Just as shown. Great tables. Beautiful colors and the raw edge look is unique and pleasant. 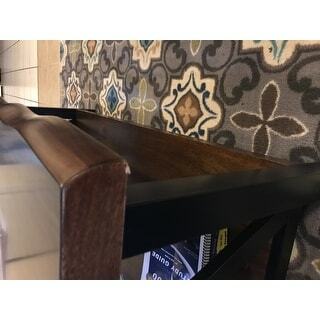 Solid sturdy tables and overall a great set that is easy to match. Assembly was quick and the packaging was good. The table quality was better than I thought. Will definitely be ordering more furniture from Overstock. Very sturdy and love the color of the wood. Very well made and easy assembly. High quality craftsmanship. "Do you have the end tables in stock? 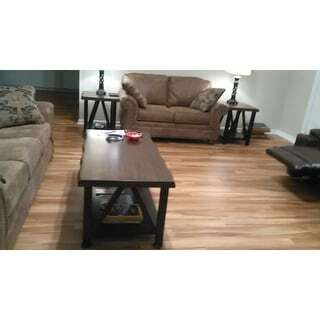 I purchased the coffee table and want to add end tables." The end tables are estimated to be restocked in March. "Just how dark is the table? Several reviews talk about how the table is a very different color?" This is a medium to dark brown color. "What about the entryway table in the photo. I am looking for one." That item is currently out of stock. It is expected to be back in stock in mid-July under item number 20422551. "What is the weight of the coffee table? 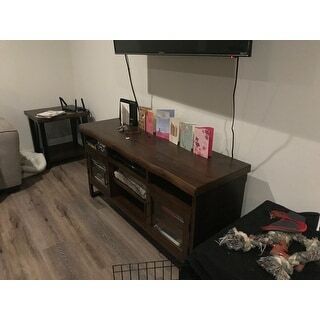 Looking to use in a room with a pull out sofa and do not a burdensome coffee table to shift when used. Thanks!" The coffee table weighs approximately 60 pounds. "Will the price of the coffee table change. I was hoping to purchase a set (coffee w/ end table)." The set is currently out of stock. It is expected to be back in stock in early October. 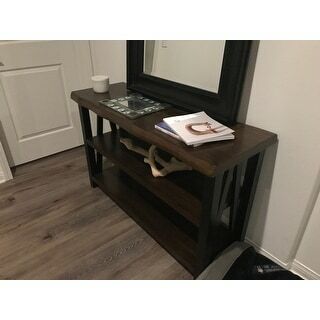 "I'm looking for console table and coffee table... Do you have both?" 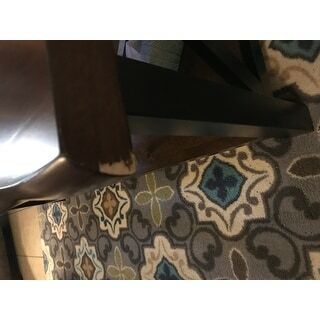 The coffee table is available under this listing. The console table is currently out of stock, but it is expected to be back in stock in early October under item number 20422551. "Is the top of the coffee table wood or veneer? What part of this product is veneer?" The top of any of the pieces are mdf with a very nice wood laminate on all sides giving it the appearance of wood with graining effect giving it the appearance of solid wood.